Darkfield is a microscopy technique that is helpful when viewing specimens that have a similar color as their background. Darkfield is used to describe the illumination feature in which the light is dispersed around the sides of the object, in effect giving the specimen a back-lit appearance. It is most frequently used to view live specimen samples that have not been stained. 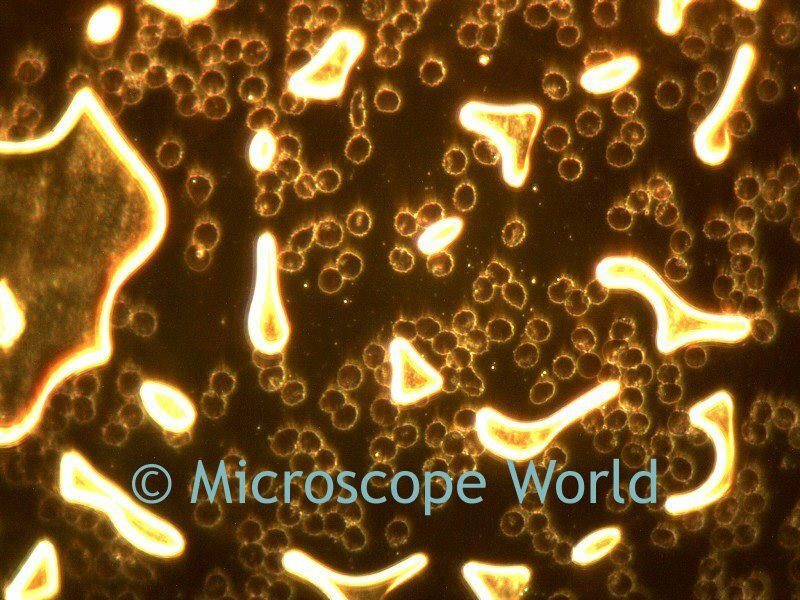 Darkfield microscopy can be performed with a stereo dissecting microscope, or a high power biological microscope. 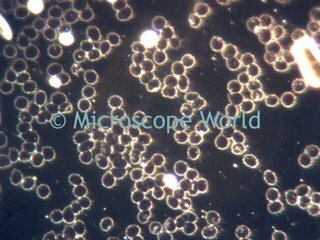 The above images are live blood cells captured using the MC2300 microscope digital camera on the Meiji MT5200 biological microscope with darkfield.